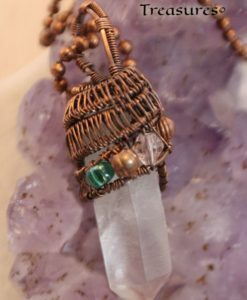 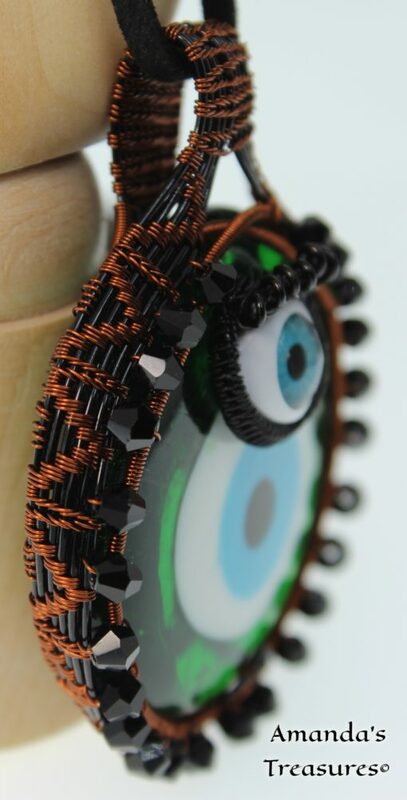 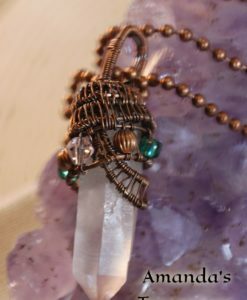 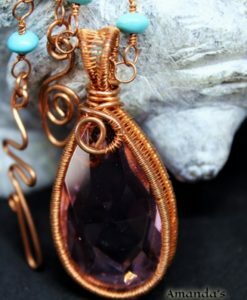 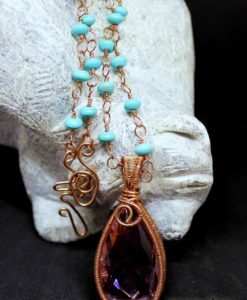 This evil eye wire wrapped pendant is handwoven out of black and brown color-coated copper wire. 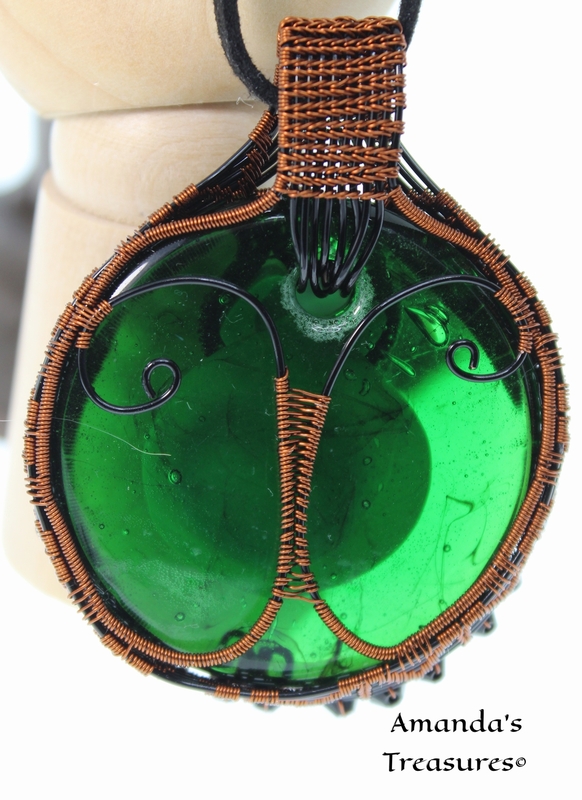 Made out of brilliant bottle green lampwork glass. 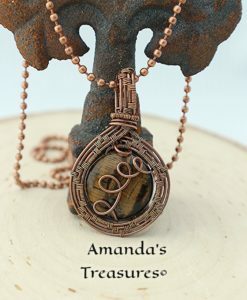 Woven in a zigzag pattern this pendant draws the eye to the detailed graceful lines as well as an extra eye complete with lashes woven into the design. 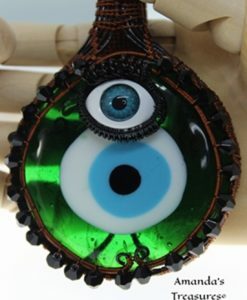 The evil eye curse goes back as far as 3,000 years. 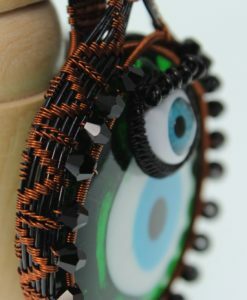 It is thought that a dirty or angry glance often times comes to those who are unaware of it. 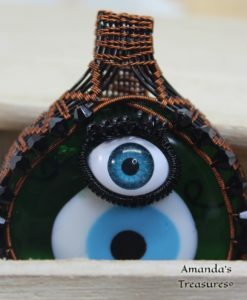 These glares are thought to cause bad luck or injury. 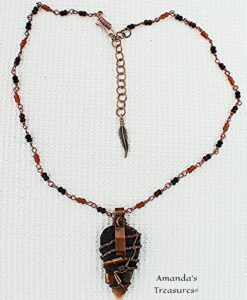 Wearing an amulet or pendant is said to ward off this bad luck. 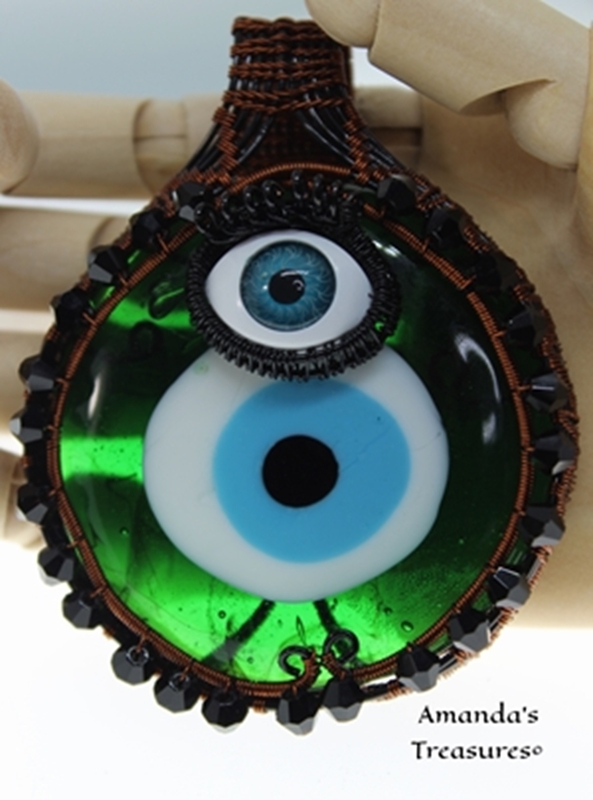 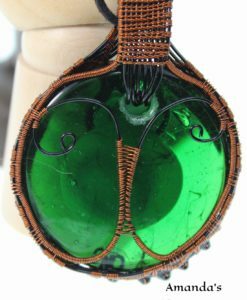 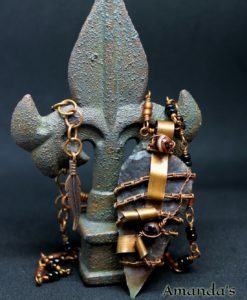 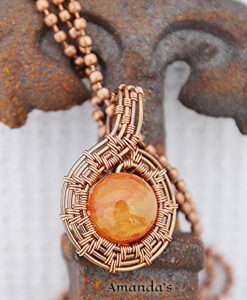 With an extra eye woven into this pendant, it is sure to ward off twice as much trouble. 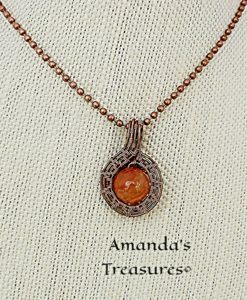 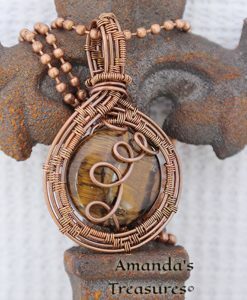 Handmade with dedication and love by Amanda’s Treasures.